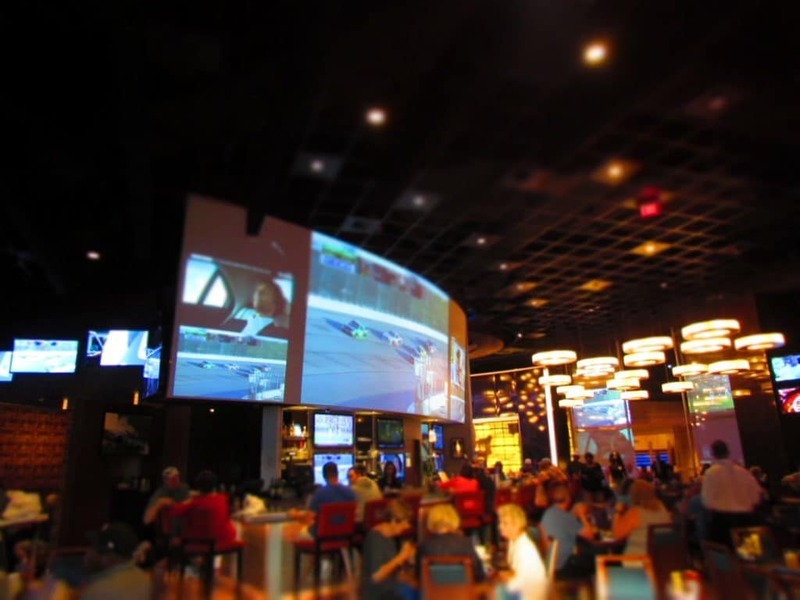 Our visit to the Turn 2 restaurant, in Hollywood Casino, showed us that sometimes the hidden gems are right under our noses. 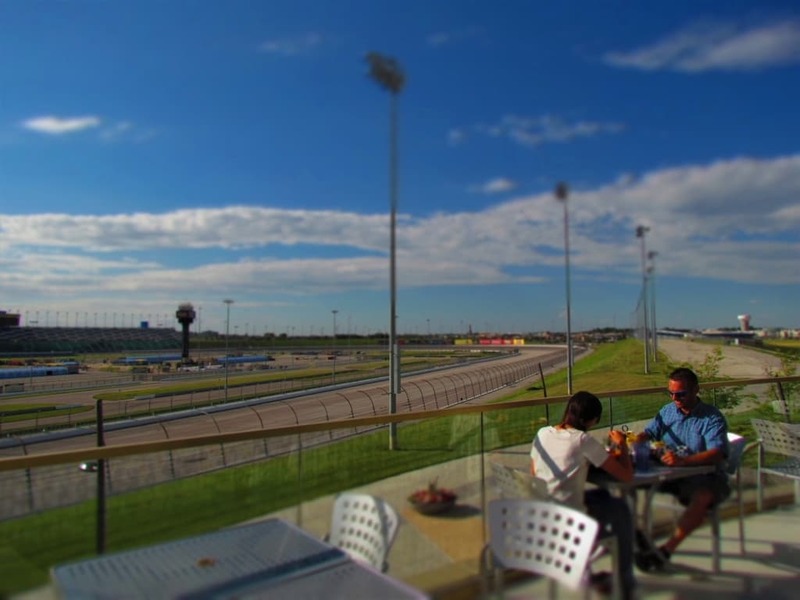 Not only does this place have some delicious dishes, but the views of the track at Kansas Speedway are unparalleled by any restaurant in the city. We want to thank Turn 2 Restaurant for their hospitality. Rest assured that all opinions are our own. Being travel bloggers requires tons of work behind the scenes. Of course, when it comes time for the actual site visit, it can be very interesting. We make a point of reaching out to staff well in advance, so that we can gather as much useful information to pass on to our readers. Some places are more hands on than others, and then there was our experience at Turn 2. We were met at the main entrance by Dean Doria, who is the VP of Marketing for Hollywood Casino. He gave us an overview of the casino, as we made our way toward the restaurant entrance. We were unprepared for the reception that we were about to receive. Dean escorted us to the track side of the restaurant, where staff had cordoned off a section of the restaurant for our visit. This allowed us to select our choice of seating options, from booths or tables. Each of the booths have a TV screen showing sports, but we were looking for a spot that would be better for conversation. We settled at a table, and were visited by Kelvin Davis, who is Director of Non-Gaming Operations. Basically, if it doesn’t involve gambling, then Kelvin is responsible. He gave us a little background on the restaurants available at Hollywood Casino, before heading back to his duties. I took a few moments to get some photos of the restaurant, as well as the outside dining area. It was a beautiful day to sit on the outdoor patio, which overlooks it’s namesake section of the track. Back inside, it quickly became obvious that this place is a true sports nuts dream. There were screens everywhere, and the one above the bar is massive. Kelvin had arranged for Adam Fruehauf, the Executive Chef at the casino, to spend some time with us. Normally at this point we would order a meal, and then showcase it for our article. 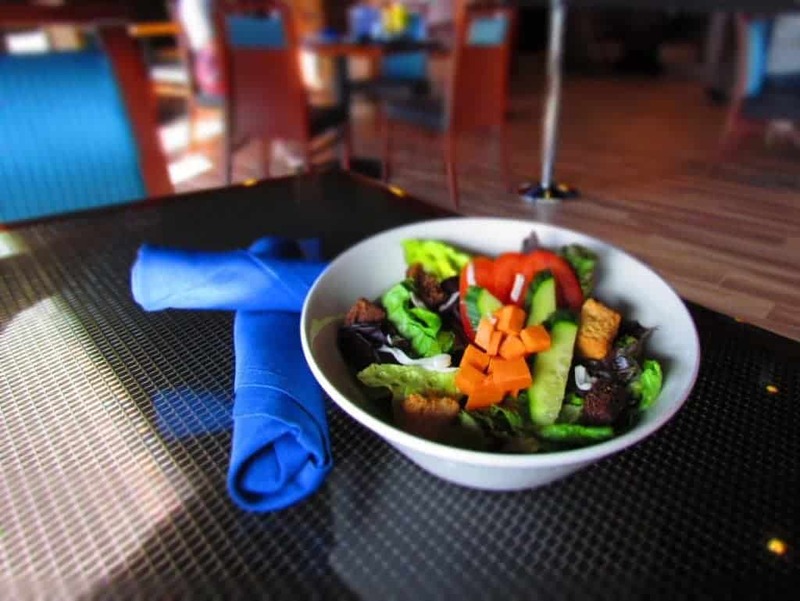 Adam wished to have us experience a variety of the dishes that are available at their unique sports bar & grill. We always try to be flexible during our research, so we decided to go with the flow. As they began preparing the dishes, we spent some time talking with Adam and Dean. We found out that they try to source regional ingredients whenever possible, as it allows for more flavorful dishes. 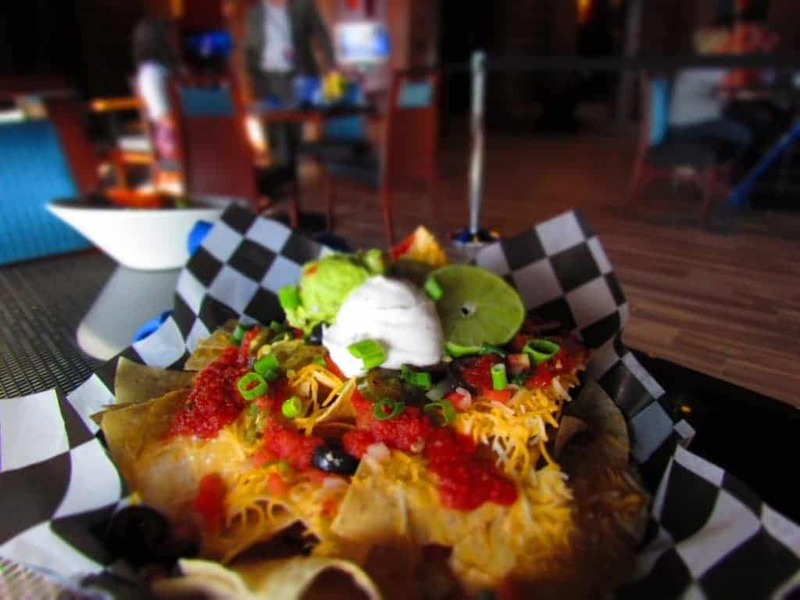 We were looking forward to tasting the food, since even the items on the menu at the sports bar are designed by a chef. Now came the time to test this theory at Turn 2. The first round included a house salad, and some nachos. Now before anyone could dig in, I needed to get pictures of each dish. I chose a table closer to the windows, so I could have nice lighting. This also kept the food out of reach of the hungry hands. With the images captured, it was time to sample the wares. The first bites made evident the freshness of the ingredients. This was apparent from the crispness of the fresh vegetables in the salad to the creamy texture of the guacamole sitting atop the nachos. While we were still in the appetizer section, Adam had a couple of heartier items brought out. The Parmesan-Garlic Wings were a rousing success with me. The wing sauce has the background flavor (and heat) of a solid Buffalo sauce, but the additional layers of the namesake flavors. It made a great combination. These are definitely a winner in my book, and since Crystal has never learned to enjoy the beauty of chicken wings, they were a special treat just for me. Along with the wings, they also brought out an order of the Ham & Cheese Sliders. 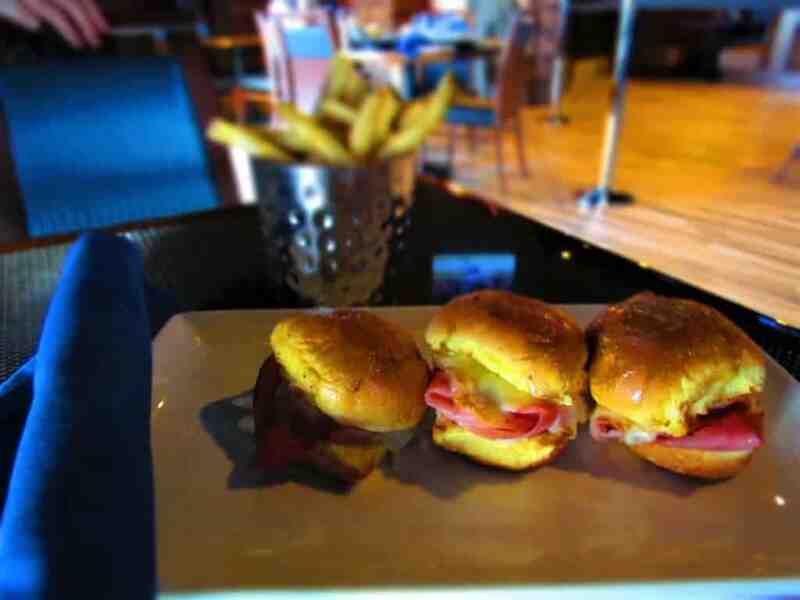 These diminutive versions of a classic sandwich are served on Hawaiian sweet rolls with a Dijon mustard glaze. Needless to say, these didn’t have a chance of surviving to become left-overs. All three disappeared, before they were able to make it over to the table where Crystal and Dean were talking. I guess we will have to make a return visit, so that she can taste these for herself. 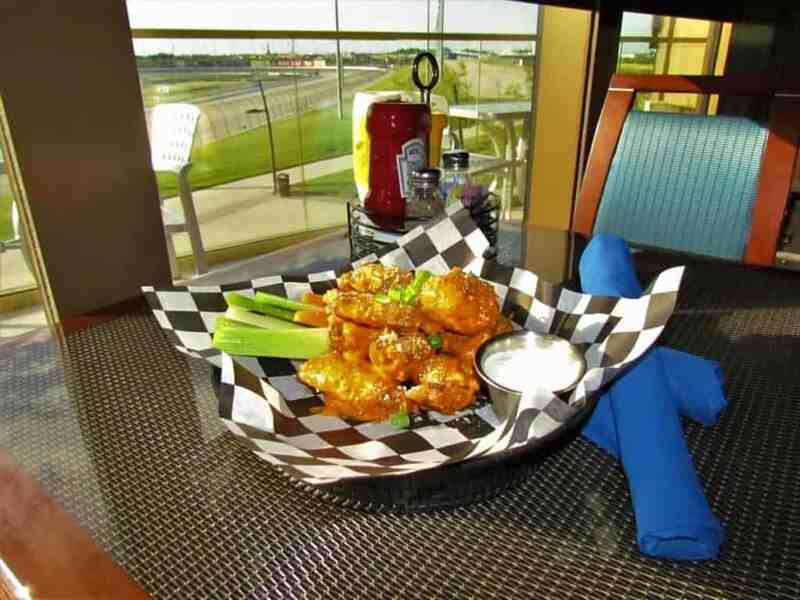 We had now gotten a good feel for the appetizers that can be found at Turn 2, and it was time to move on to the meals. The restaurant serves up a pretty good variety of options for a main course. 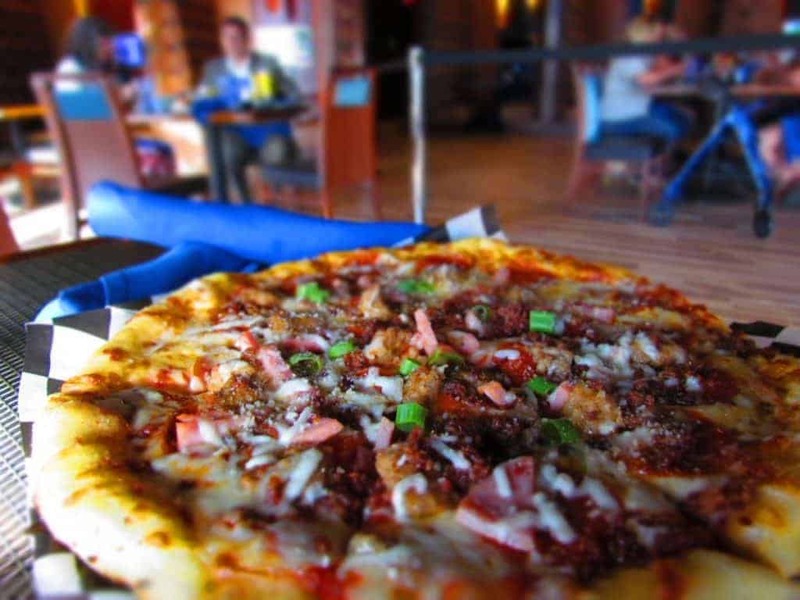 Pizzas are a favorite with customers, especially when hanging out in a group on the patio. They offer three specialty styles, but you can also build your own from their list of toppings. Pair one of these with a couple salads and you have a classic meal for two that rivals the prices at most pizzerias. Of course, here you also get the view of the racetrack for no additional charge. The menu is also brimming with lots of sandwich options. 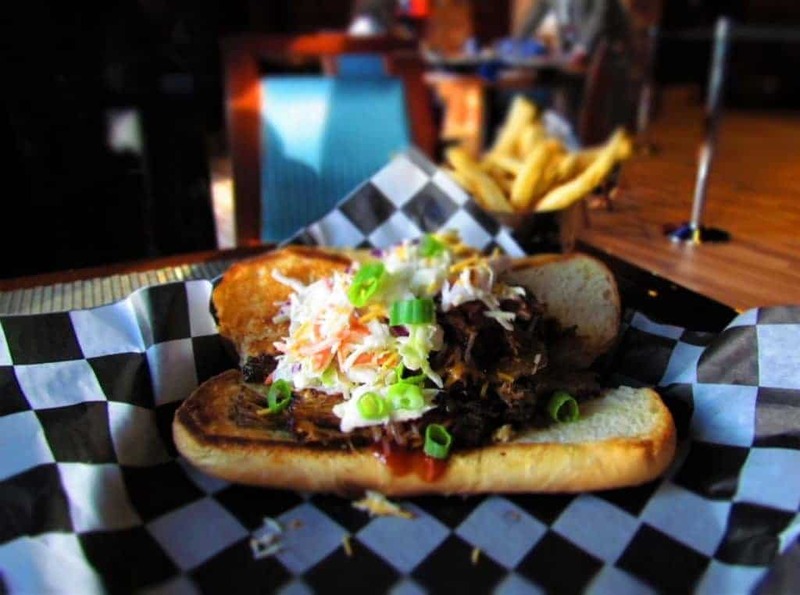 Besides burgers, visitors can choose a Po’Boy, Cheese-steak, Patty Melt, BLT or a BBQ Pulled Pork sandwich like the one they brought out next. This one is served Carolina style, and even includes the slaw. I admit that I am a sucker for almost anything that involves barbecue. Now being in a restaurant in a casino, I wasn’t sure what it would taste like. To my surprise it captured the authentic flavor of Carolina BBQ very well. This is when I found out that Adam has worked at quite a few locations across the nation, and has tried to bring the specialties he has learned to the menu here at Turn 2. By now, we had a table overflowing with the signature dishes. Adam had returned to the kitchen, so now we just munched, and conversed with Dean. As the evening waned, we realized that it was time to move on. 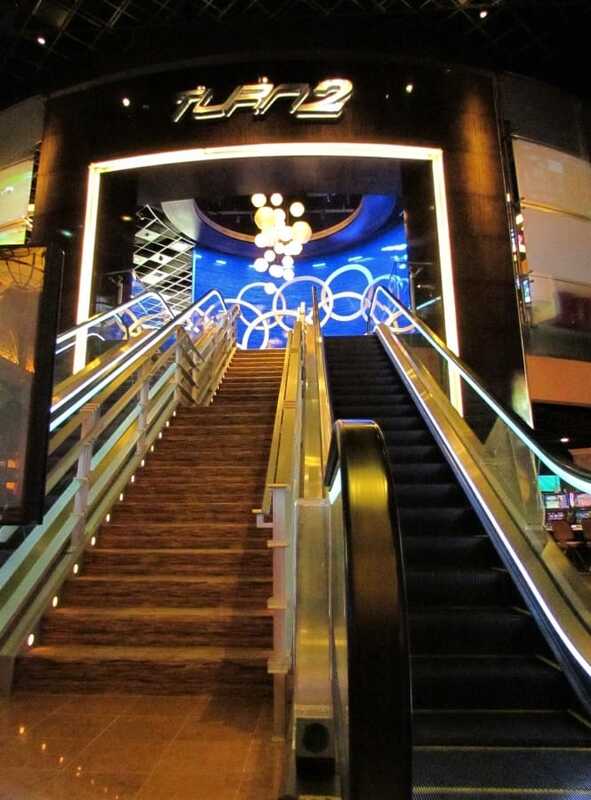 Our server had boxed up the left-overs, and we headed down the escalator toward the casino entrance. On our drive home we discussed the fact that we had never realized just what Turn 2 had to offer, but now it would certainly be a great addition for a relaxed dinner.